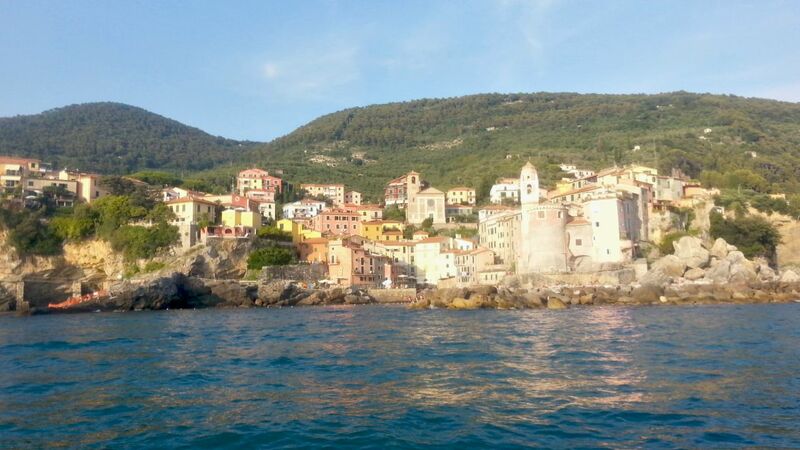 Are you looking for the fastest way to get to Cinque Terre from Florence? Then, this is not the right article for you, because going from Florence to Cinque Terre is a beautiful travel in itself. I know many of you don’t have enough time, but you can always come back another time and really enjoy a slow travel along this fascinating and varied part of Italy. So let’s start our itinerary. 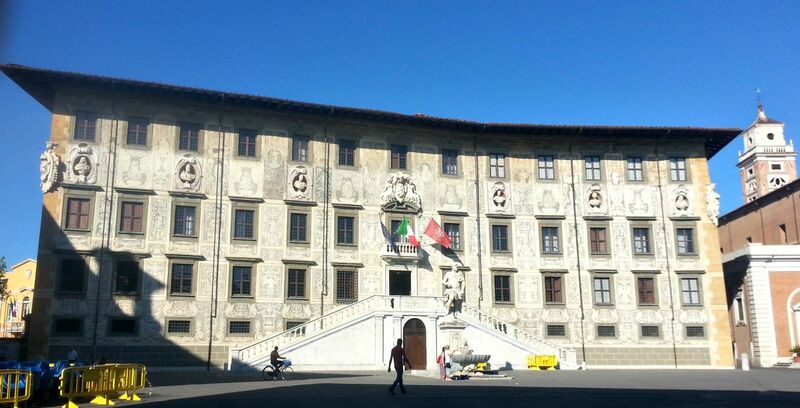 If you haven’t visited them jet, you shouldn’t miss a short detour till Pisa and Lucca. For sure you sow a picture of the Pisa leaning tower and it’s really worth to come and see it in person because the famous tower is located in a gorgeous place: Piazza dei Miracoli. It is a carpet of green grass, surrounded by ancient walls and noble palaces on which stand three amazing white marble buildings: the tower, the dome and the baptistery. Furthermore, Pisa is a lively small town with many secret corners to be discovered such as the Piazza dei Cavalieri or the small Spina Churc. Take at least four hours and enjoy it. 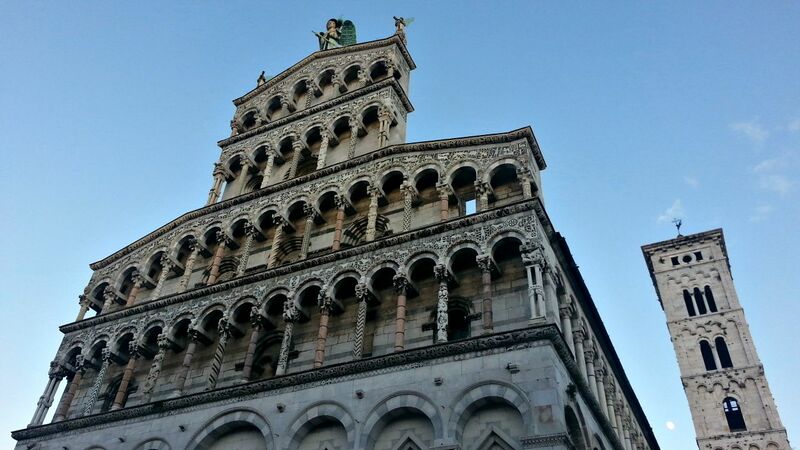 Lucca is a secret gem. A medieval town, still completely surrounded by massive walls. You can hire a bike and ride around the perfectly preserved historical center! If you enter from one of the wall’s doors, you’ll be astonished by the untouched and authentic beauty of this lively town, rich in amazing churches and elegant shops. Not to speak about food! I’ve discovered a fantastic Osteria, just outside the main roads of the center, Il Mecenate. 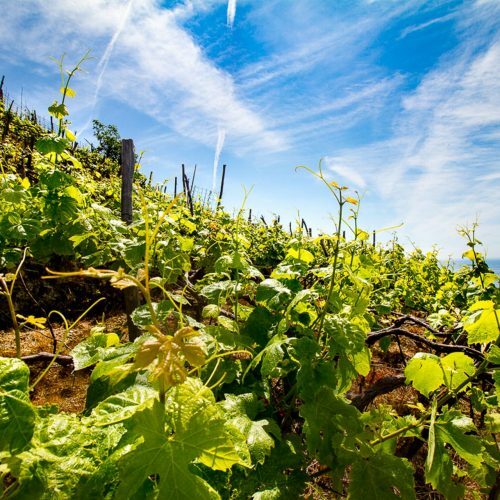 Don’t miss its rustic and refined atmosphere and the great local food and wine! Following on our way we’ll arrive to the border between Tuscany and Liguria Region. It’s a gorgeous ansd underestimated area: green hills and the gulf of La Spezia on one side and the sharp, jagged peaks of the Alpi Apuane on the other (ah, those withe spots on the Alps are not snow! It’s the withe marble of the Carrara Marble Caves, just few kilometers away, worth a visit if you have time). Right at the border there is the archeological site of the important roman town of Luni, from which this area takes the name of Lunigiana. The hills are topped by cozy medieval villages such as Nicola or Fosdinovo with it’s beautiful Castle. From there you’ll enjoy an incredible view toward La Spezia Gulf and Liguria and here you must taste the Panigacci, a sort of flat bread to eat with ham or salami. The Magra river and the promontory of Monte Marcello mark the border between Tuscany and Liguria. Here you can find beautiful paths and beaches along the coast such as the Punta Bianca beach that in summer you you can reach with a taxi boat from Lerici and Bocca di Magra. And then, it opens the deep and protected gulf of La Spezia, also called the Gulf of Poets. 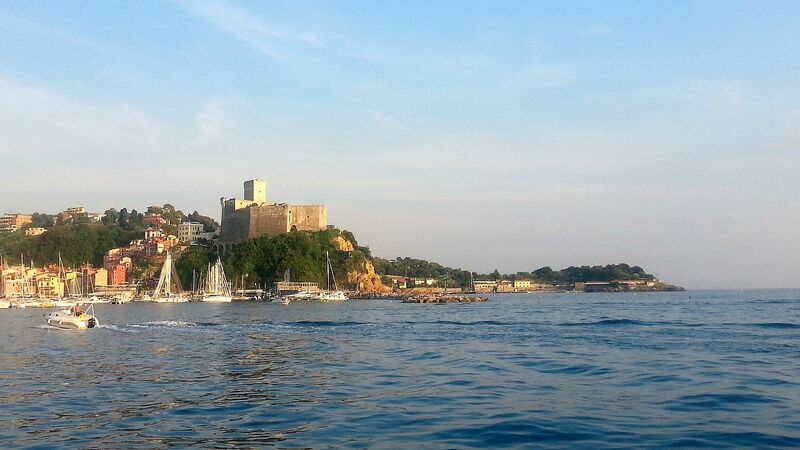 On the east side you must absolutely visit Lerici, with its awesome castle (it was built by the Pisans and you’ll notice the difference with the castle of Portovenere, on the other side of the gulf, that is of Genoese origin) and the tiny Tellaro. From Lerici you can take a public boat to the other side of the Gulf to visit Portovenere and its beautiful Islands Palmaria and Tino (read more here about these places and great things to do here) and from there you can continue to Cinque Terre. Another possibility is to go to La Spezia. 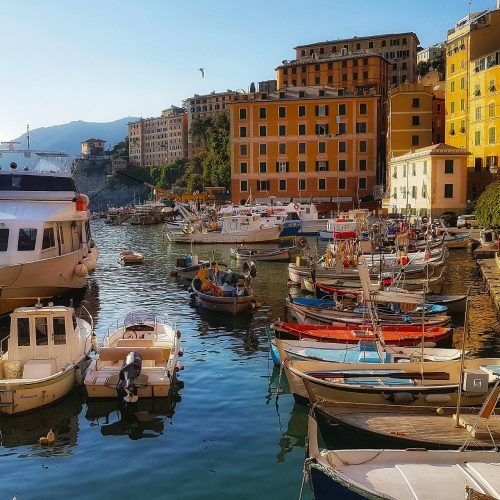 We suggest to leave your car here and to take a train to Cinque Terre (it takes 10 minutes to reach Riomaggiore and less than 5 minutes from one village to the other in Cinque Terre). You can leave the car in the parking just under the train station but in peak season it can be very busy so that we suggest you to book a place on http://www.mobpark.it/ar/ (you have to login, reserve, pay and then you will receive a code to use to enter the parking). While you are in La Spezia, an historical military town, don’t miss to taste some local food in one of the famous Osterie. 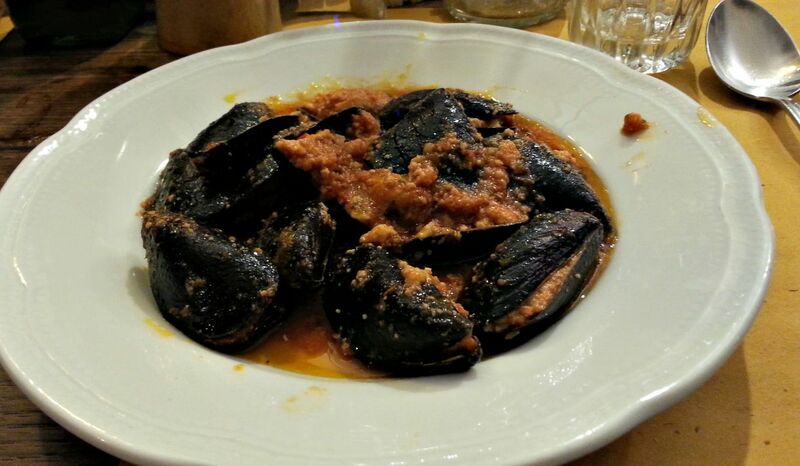 May be because of the many sailors in town, La Spezia is plenty of restaurants where you can taste authentic local food, especially sea food like mussels (try the stuffed ones) or Testaroli with pesto sauce, a kind of hand-made pasta that looks like a crepe cut in squared pieces. It really worth a stop. Here we are at the end and you will arrive in Cinque Terre, but this is another history and another trip (read this post to make the most of your Cinque Terre holiday). Previous PostGenoa’s Mercato Orientale: a colorful food market in the center of the city!